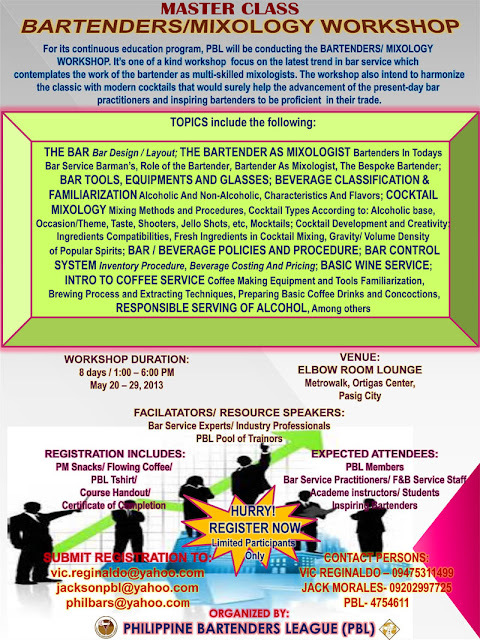 Are you an aspiring bartender, barista, or bar and restaurant manager? 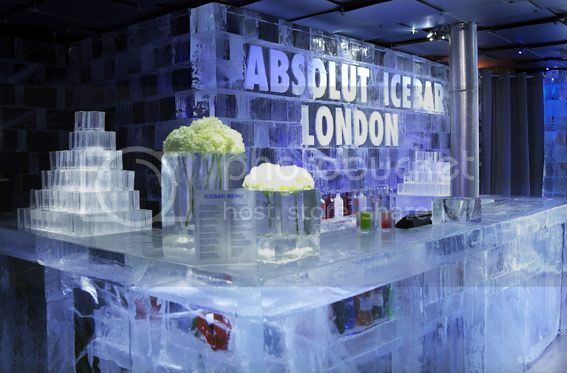 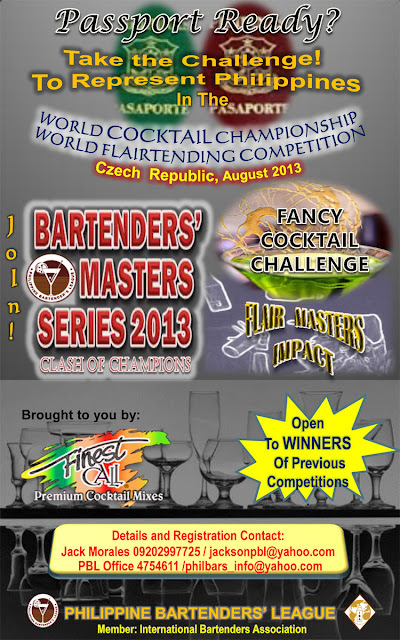 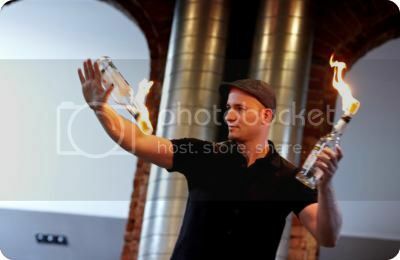 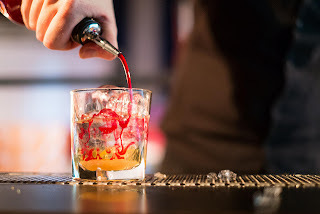 Want to know what it takes to compete in the world bartending championships? 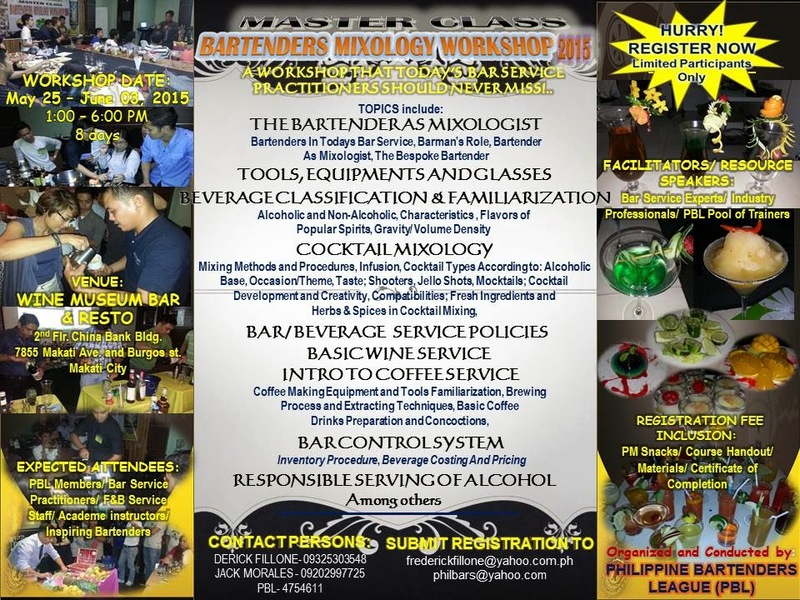 Then register now and learn all of these and more at the Philippine Bartenders League (PBL) Bartenders Mixology Workshop. This is an intensive 8-day workshop that will tackle topics such as responsible serving of alcohol, cocktail mixology, bar control system, intro to coffee service and so much more. 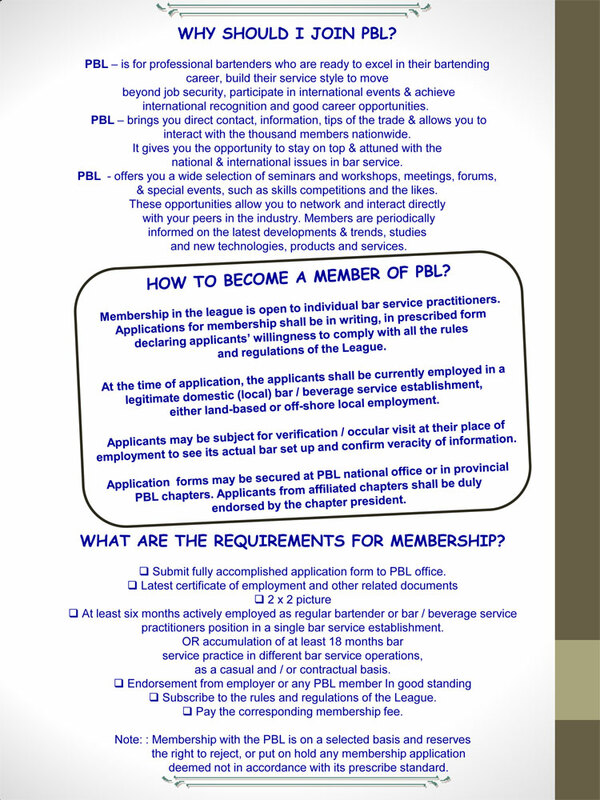 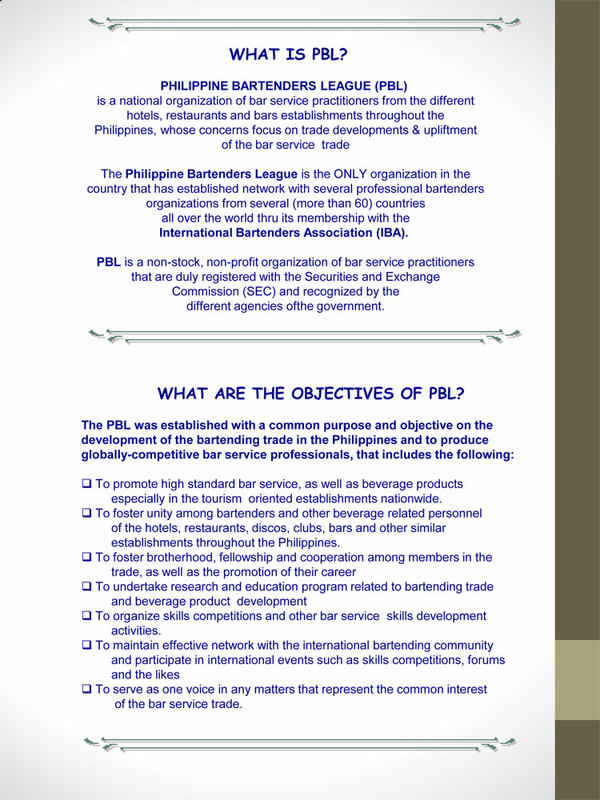 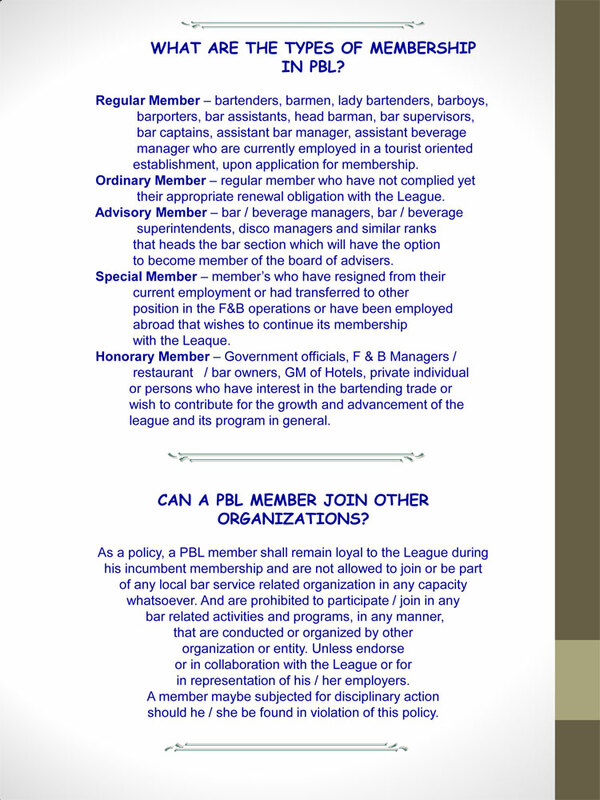 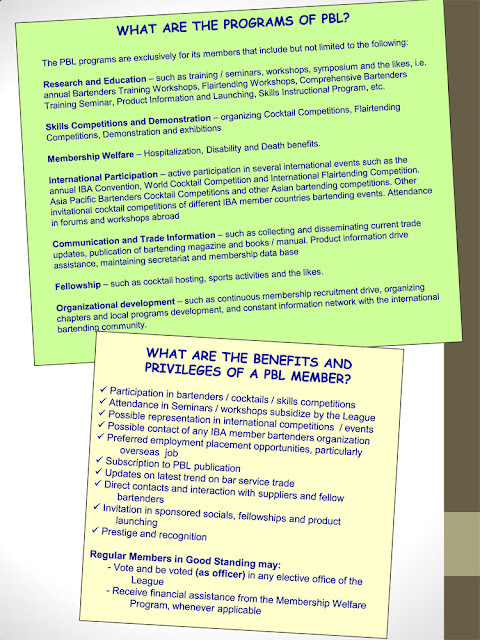 The Philippine Bartenders League is the official country member of the International Bartenders Association. 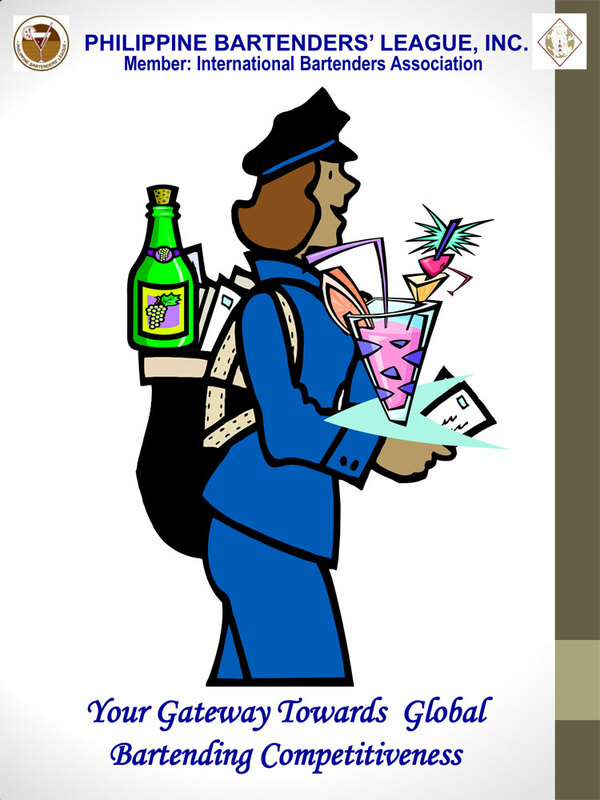 Reach your target audience by advertising here. 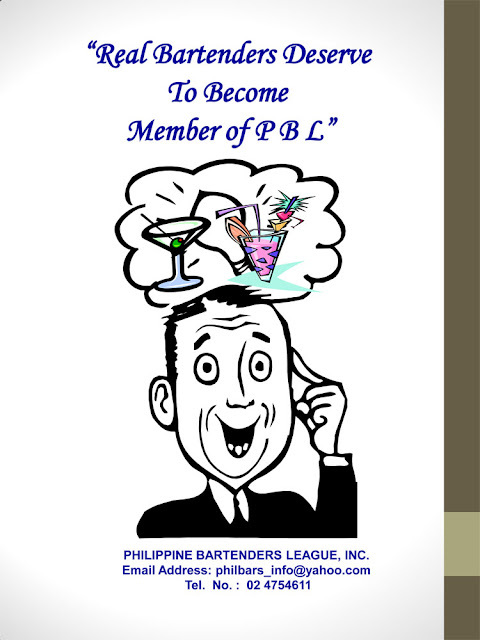 Send us an email today!